What does “past it” even mean in today’s society? Past what? Young people picture seniors as needing walking canes, inflexible and bent over, and shuffling along both in the house and outside. The sun has set on them. When people are called weak, feeble, frail, and even useless just because they’re ‘older’, they’re being labeled based on this stereotype. This is both wrong and sad! But what is even sadder is when older people ‘buy” into this stereotype, believing it to be the truth they start behaving and living accordingly. Image is one thing, but attitude is everything. Attitude is based on an ‘inside job’, it’s what you believe to be true about yourself, and what you’ll act out and thereby become. Isn’t time to develop an anti-aging attitude so you don’t fall into this trap and never feel old. While I’m not going to suggest at 70-years of age you can expect to win the next Olympic Games Marathon, or play in right field for the Boston Red Sox – at the moment Mookie Betts has that one locked-up anyway – but I certainly have seen 70-year-old clients in my hypnosis business who look lean, fit and have the skin of a much younger person. But it’s not how they looked that dictated how I viewed them, but their attitude of themselves and how they feel about their life. So, how can you do the same? Don’t buy into ‘Fountain of Youth’ elixirs and creams, and even cosmetic surgeries, as making you feel younger. 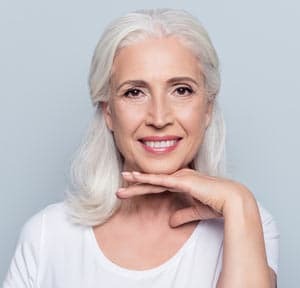 The irony of it all is, many ‘feel old’ already and this is why they’re engaging in these methods to try to stay young looking… but they still, sadly, feel old. I’m not saying you shouldn’t care about how you look and by all means use products and eat healthy foods that preserve your looks, but don’t use them and expect to replace how you feel. The problem is not with their bodies growing older, as much as it’s with our attitude and outlook on life growing old. Have you ever heard of the expression, “You’re only as old as you feel or believe you are?” Age is nothing more than a chronological number. And how, and what, you perceive it based on your attitude, can and will make you feel much ‘older’ if you let it! The question is… are you willing to remain ‘forever young’ at heart? 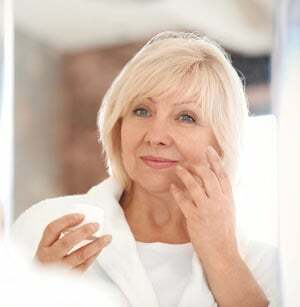 Are you willing to feel more youthful again? Did you know feeling, being, and acting positive can make you not just feel energetic, but also make you feel more youthful? Life is too short at any age to not be mindful of your time. It’s how you live in your life which make it more enjoyable… or merely tolerable. When people reach certain ages, it appears some believe life is no longer about enjoying, rather about enduring and existing…waiting it out! This can’t be further from the truth. Many people get a second life after 60-years and achieve a lot more in their next phase of life than they did in their first 60 or 70 years. It all came down to their state of mind – their attitude! How can you go about getting this energy, vigor and positive state of mind back? Eating well and keeping fit are foundational for keeping your body in good order as it ages. You need to do this, but on their own, neither of these will get you to the attitude and state of mind you need as well. Meditation or Mindfulness, Yoga, and Hypnosis are all ways to help you to get into a Natural Anti-Aging Attitude. There’s nothing to stop you doing all three, but I’d recommend you pick one to start and see how it goes for you, and add the others once you’ve mastered one. I’ve put some links in the resource section below on these ways to get you started   . Naturally I think Hypnosis is a great method for achieving this and you can do hypnosis at any age. In fact, what better time to do it than in the here and now, especially if you now have the time! Why not make better use of that time and begin to feel younger? 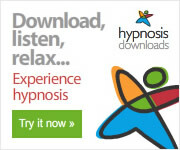 Hypnosis can help you feel younger again by nixing the negative thoughts and attitudes you have about your age. You see, one’s mind can become patterned into thinking a certain way when it does so for a period of time. If at some point you reached an age you or someone else thought was ‘old’, or that you were ‘getting older’, and should start thinking, acting and feeling a certain way according to that age, then you might have set that as the parameter for how you are act and feel going forward. It becomes your state of mind. However, hypnosis can tap into your unconscious mind and help eradicate those preconceived notions of ‘feeling old’, and implant new and lively perceptions of yourself thinking, feeling and acting young or younger! While affirmations are sometimes used incorrectly there is a right way of using them , and these can be reinforced in a hypnosis session particularly to create a positive attitude about your life, future and age. Western culture generally celebrates and promotes the promise of youth, at the expense of our seniors. This isn’t so true in many eastern cultures where the old are revered and respected for their experience, wisdom and past and ongoing contributions. You could say its all about a state of mind, and instead of believing what is fed from our culture about expectations for our age, we need to start taking charge about our own attitude of our age to meet our own expectations rather than what others expect of us. If you intend to live well into your nineties – as I intend – then having a longevity attitude today is more likely to help you get there. Let me know how you enjoyed this article.